BALTIMORE, Md. — A federal appeals court has unanimously upheld a ruling striking down a Baltimore ordinance that required pro-life pregnancy centers to post a notice advising that the facility does not offer or refer clients for abortions or contraception. Greater Baltimore Center for Pregnancy Concerns, Inc. had filed suit against the City of Baltimore in 2010 after city council passed a law requiring the signage to be posted in waiting rooms. Council members, as well as abortion advocacy groups, asserted that the ordinance was necessary to prevent “deceptive” advertising. Groups such as Planned Parenthood and NARAL claim that pro-life centers are “fake clinics” that do not provide medical care, and are manipulative by encouraging the woman to choose life, showing them their child via ultrasound and providing information about the negative ramifications of abortion—statements that abortion advocates argue are false. Pregnancy centers customarily offer pregnancy tests, ultrasounds, counseling, clothing, diapers, food and other pre- and post-natal support—all for free. Many are staffed by registered nurses and ultrasound techs, and are guided by pro-life physicians, but may also utilize the help of non-medical volunteers for other aspects. 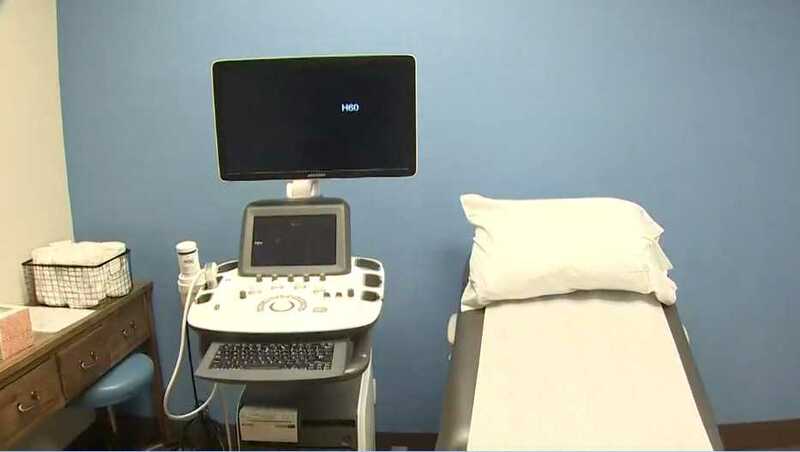 “Pregnancy centers that provide ultrasound services (and other medical services such as STI testing and treatment) under the supervision and direction of a licensed physician are, in fact, medical clinics and should be acknowledged as such,” the National Institute of Family and Life Advocates explained in an article on its website in 2013. In January 2011, U.S. District Judge Marvin Garbis, appointed to the bench by then-President George W. Bush, ruled in favor of the Center for Pregnancy Concerns, stating that the government should stay out of how a pregnancy center follows its convictions and mission, as mandating a disclaimer violates the right to free speech. However, the Fourth Circuit Court of Appeals overturned the ruling in 2013 upon appeal and remanded the case back to Garbis. He refused to change his mind on his conclusion. “The disclaimer as mandated forces pregnancy centers to begin their conversations with a stark government disclaimer, divorced from the support offered by the Center, and suggesting that abortion is available elsewhere and might be considered a good option by pregnant women—a message that the Center expressly finds morally offensive and would not otherwise provide,” Garbis wrote. The ruling was then again appealed to the Fourth Circuit, which ruled this time unanimously in favor of the Center for Pregnancy Concerns. It stated that the City had offered no proof that advertising by the Center was misleading as it did not identify even one mother who visited the facility with the impression that she might be able to obtain an abortion at the location. As previously reported, the U.S. Supreme Court has agreed to take up an appeal out of California surrounding a state law requiring crisis pregnancy centers to post information advising clients about government abortion programs. A ruling is expected by late June.